Pound cake is a dense yet a soft cake as compared to the regular cakes. It has a slight tang or sourness from the curd/yogurt which counteracts beautifully with the sweet vanilla flavour. The addition of suji/semolina in my Vanilla Pound Cake with Yogurt makes the cake healthier as it cuts the amount of flour. 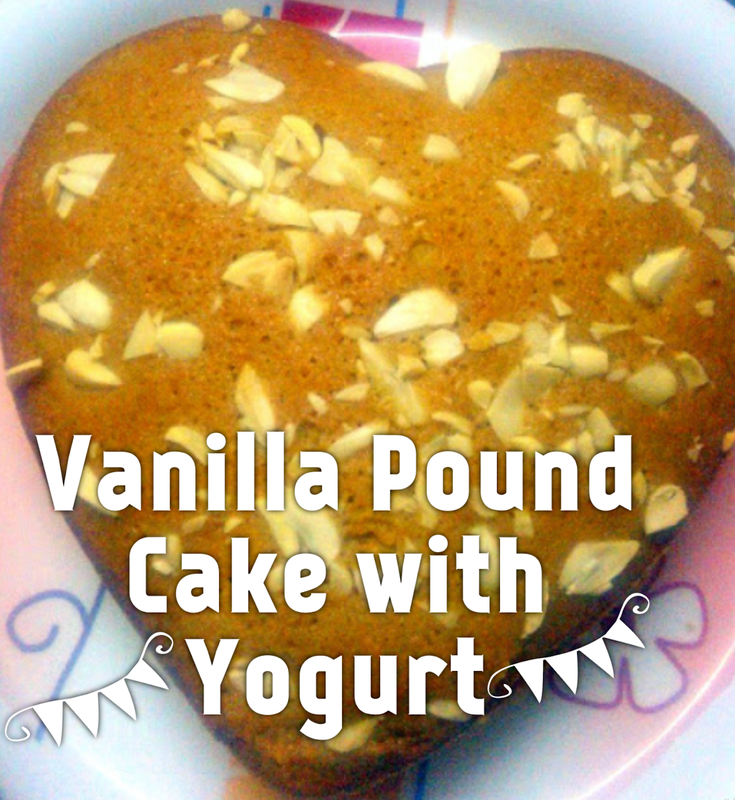 With or without semolina, this recipe of vanilla pound cake is superb. 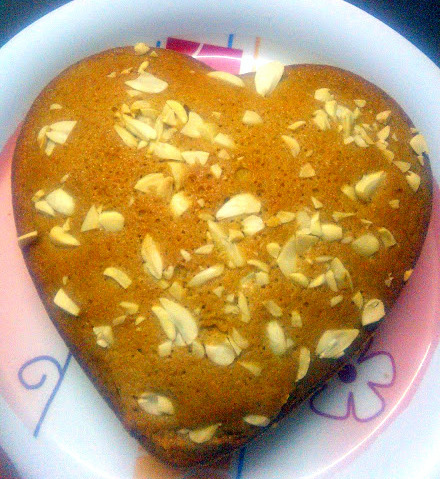 It is perfect cake to accompany a cup of tea or coffee. In a bowl, whisk oil, yogurt, sugar, eggs and vanilla essence together. In a separate bowl, sieve flour and baking powder to make it clump free. Combine the wet ingredients with flour mixture and semolina. Lightly fold the cake batter and pour it in a greased and floured cake tin. (Optional step) I added a few slivered almonds to the wet batter on top just before baking for a crunchy topping. Bake your cake in a pre-heated oven at 180 degrees for 40 minutes or till a toothpick inserted comes out clean.